There are installed systems all over my work. Most are Meyer power speakers. Typically an outlet box is put near the fly point. Then a flexible cable (not sure if it's SO or SJ) goes from a twist lock at the box to the PowerCon on the speaker. Tie wrapped to the hang cable along with the signal cable. Probably 20 rooms on the campus set up like this.. I've seen this too. SO for about 30+ft from the speaker hang to the nearest installed via conduit outlet. Obviously there's some leeway, but I could see how running SO along a building structure instead of along the aircraft cable hang is vastly different. i don't think powered speakers in a fixed install make sense. Even after the extra trouble of getting them installed, WHEN they fail the electronics that need service are 30 ft in the air. I like a Amp and DSP in a rack where I can install a backup in a hurry. I've had to do it on Sunday morning between the beginning of practice and the service. A dance teacher in my school district bought a set of 4 medium sized powered speakers for her Dance Gym (no sports balls thrown in here). We (the A/V dept) mounted them on the walls about 12 feet up (easy to reach with ladder) and wired them to a wall plate that connects to portable mixer/playback rack. Tested them using extension cords. Actually sound pretty good for cheap stuff in a gym. Now we have to wait for the Electrical Dept to get around to installing conduits, boxes and circuitry to the 4 speakers. That way you can turn the speakers all the way off, which has been a sticking point on some of my permanent installations with powered speakers.
. Now we have to wait for the Electrical Dept to get around to installing conduits, boxes and circuitry to the 4 speakers. What does that do to the total price? In my most recent project, I specified the approximate locations, and the electrician installed the outlets. Outlets are in the ceiling, and a short flexible powercon cable connects them to the hanging powered speakers (Meyer UPAs). The outlets are switched using a standard light switch, accessible in an equipment room. Works great. What's the question? That putting an electrical outlet somewhere new costs money, or is it a question of budget, i.e. what dept pays for the work (regardless if done in house or by contractor)? Regardless, the cost of getting either a speaker cable or power outlet up to the speaker should be part of the new equipment installation cost-out. The expense of a Code-compliant electrical outlet is probably about 120% of a Code-compliant speaker cable installation, mostly because of the price difference between a journeyman electrician v. the wages of an A/V installer. Interesting devices. I'm wondering how this gets past having low voltage control and regular AC in the same conduit. Or even having digital circuitry and low voltage in the same enclosure or device with AC distribution? I thought that was a no-no. 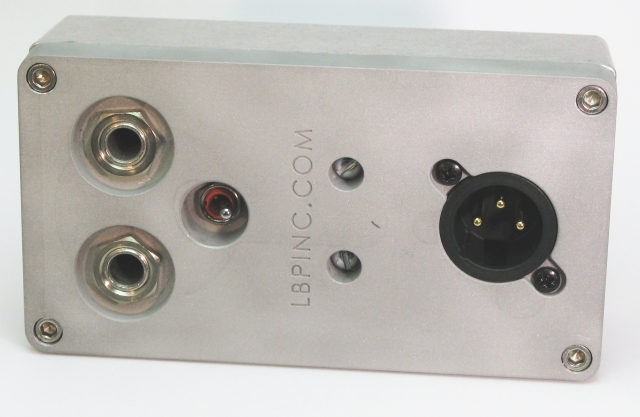 Code allows low voltage wiring in the same conduit enclosure IF the wiring is rated for the highest voltage present. The instructions for the controlled outlet specify "600 V" rated wire. Also, since it utilizes a dry contact closure, all the power protection is controlled by the device. Energy code is heading towards having a significant number of receptacles in a building controlled so they can be powered off when unoccupied. It seems insignificant, but I suppose in a large office building, hundred (thousands?) of unused, plugged in wallwarts/phone charges could add up to a decent amount of wasted heat energy-that a cooling system must then remove. In any case, that goal will drive the cost of this technology down-whether its for occupancy control or remote power control of speakers.